On one side there is an image of St. Christopher. Made in Italy. Lifetime guarantee; brass metal finish. I am offering this medal to you so that you can bring a medal of St.Christopher with you always, near to you heart. 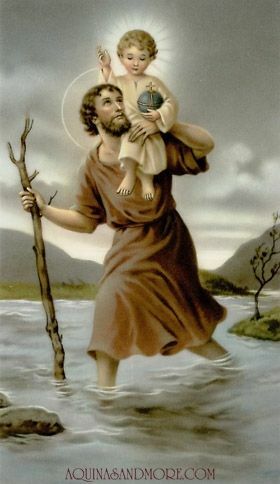 He is the patron saint of travelers, and small images of him are often worn around the neck, on a bracelet, carried in a pocket, or placed in vehicles by Christians.